This is a really long layout depicting an idyllic country scene. 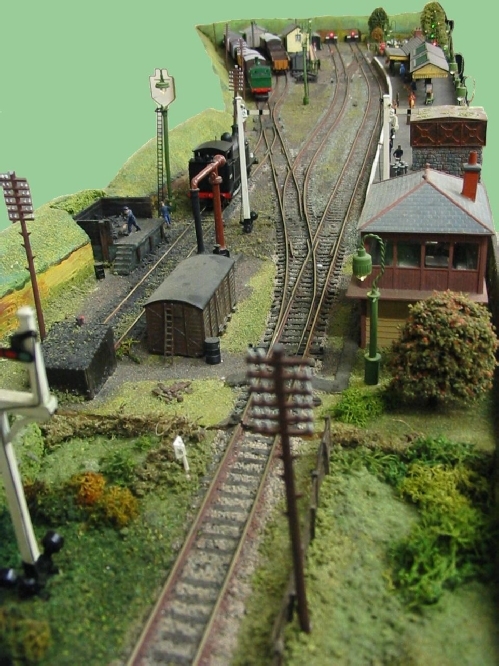 The layout is constructed to OO gauge and needs three operators to get the best from the branch lines. It is privately owned by a club member. The period is 1960s where steam and green diesel traction is appropriate. There is much attention to detail: the flickering station gas lamps, telegraph poles, loads of features at the station and an exceptional back scene to set off the layout. And the trackwork looks so realistic. 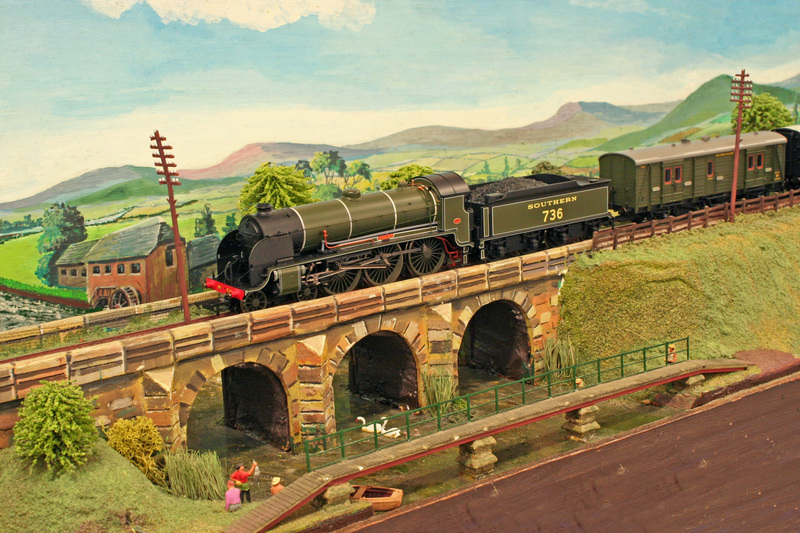 For a nostalgic journey along Lymwood we see the train leaving the tunnel mouth, passes Whynot Halt which has a passing loop and cattle dock, and on over the viaduct which crosses the river with swans and fishermen. Further on the train passes the signal box and stops at the station, the loco is uncoupled from the train and proceeds to the end of the line, past the grounded coach and onto the turntable. It can now be turned ready for its return journey down the branch or it can be moved to the coaling station for servicing: tender topped up with coal and filled with water. In the station yard there is a parcels siding, short siding for a station pilot and a further track which goes to an area dedicated to the cattle dock. Special features and the layout included flickering gas lamps in the station and electrically operated signals. 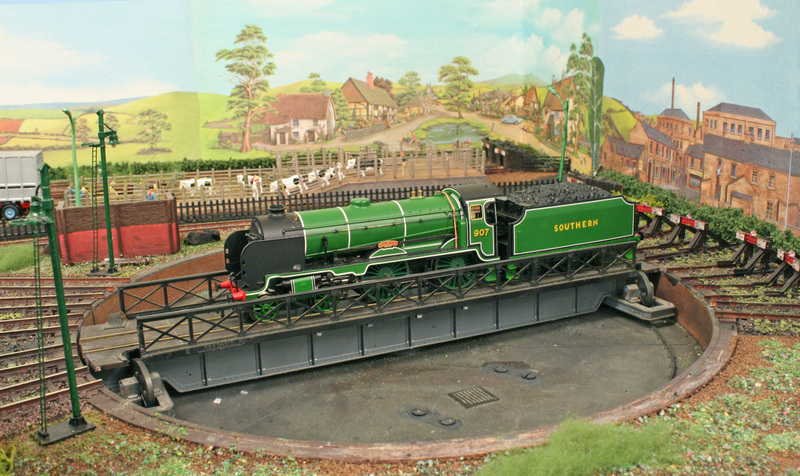 Lymwood is indeed a large layout (at 26' x 7') and is full of interest.